Jozy Altidore was in a bit of a slump, having not scored for the USMNT since September of 2016. But suddenly, he’s on fire, with two goals in fewer than 90 minutes across the past two games. 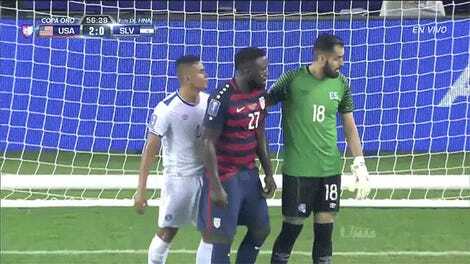 Altidore got the dramatic game winner in the semifinal Saturday against Costa Rica, and he put himself in line for another right on halftime against Jamaica, when a free kick flew into the top-left corner just above the goalie’s outstretched hands. Admittedly, Altidore was helped by the fact that Jamaica had to put in their backup keeper less than a half hour into the match, as starter and standout Andre Blake was injured during a scramble in front of net. Replacement Dwayne Miller probably could have done better to reach the ball, but from that far out, Jozy gave just about the best strike possible. 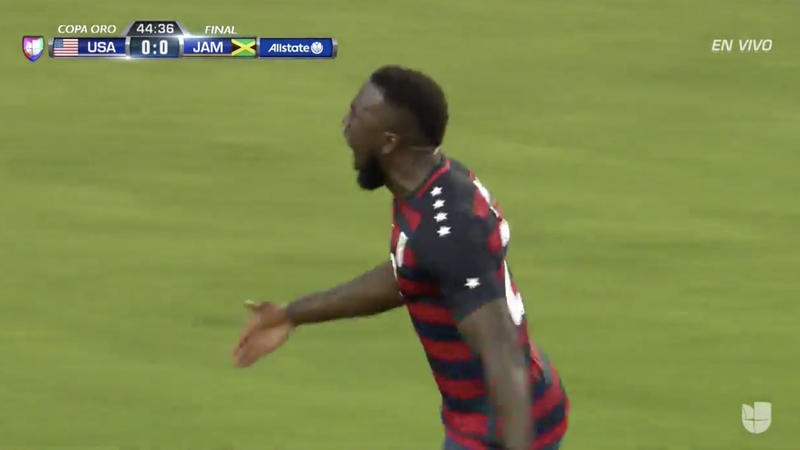 Unfortunately for the USMNT, Altidore’s goal was quickly nullified in the 50th minute by Jamaica’s Je-Vaughn Watson. If they regain the lead, the U.S. win their sixth-ever Gold Cup, taking the trophy from Mexico, who won it in 2015. If Jamaica win, it’s their first ever.